This "Wizard of Oz Series" finally completed. 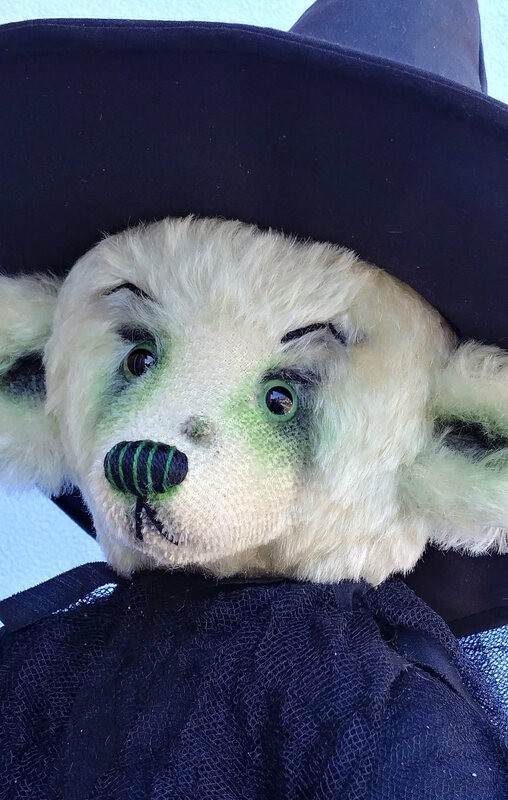 Dorothy, in 2010, began the long “Yellow Brick Road” to completing these six 18-inch, one-of-a-kind bears in 2018 for a very patient collector. The cast of characters is almost endless, but “Elphaba, the Wicked Witch of the West”, finishes the series. So fun to see them all together at last! Elfphaba, The Wicked Witch “Wicked” was a Broadway musical about the untold story of the witches of Oz. It depicted how two young women become those witches. Galinda became “Glinda” the Good Witch of the North, while Elphaba, the misunderstood girl, became the “Wicked” the Witch of the West”. The story is told from her perspective & based upon the best–selling novel by Gregory Maguire, “The Life And Times of the Wicked Witch of the West”. 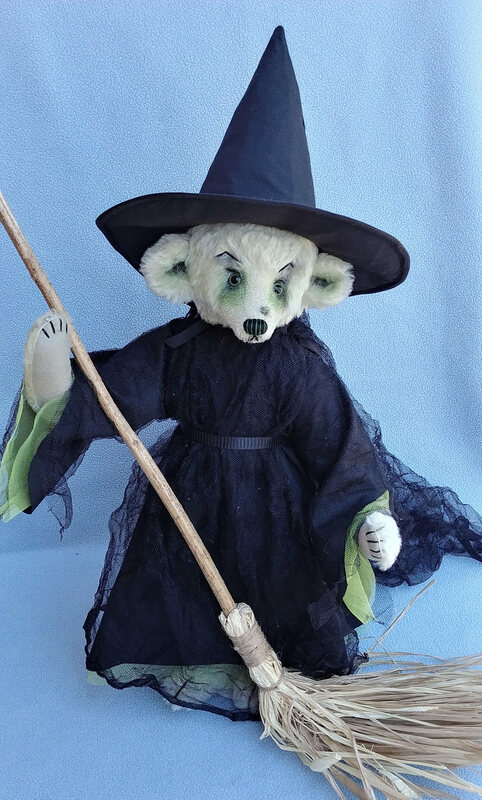 Elphaba the bear is the 6th in the OZ Series, She is made of hand-tinted mohair and fully jointed, with flex-limbs and glass eyes & not very happy to be waiting so long.